Macho man is a solo creation for the dance artist Saga Sigurðardóttir. It is inspired by how the masculine body is choreographed in society. A female perfomer executing masculine vocabulary creates resonance between two bodies on stage, the body of the performer and the body of the choreography itself. Interested in the representation of the macho man, we dive into the sweaty world of Mexican wrestling and WWE, masculine dancing, rock icons, fitness competitions and more, exploring masculine movements through ritual and voyeurism. Thanks to: Baldvin Þór Magnùsson, Benjamín Náttmörður Árnason, Eva Signý Berger and Randy Savage. Katrín Gunnarsdóttir [IS 1986] is a choreographer and dancer based in Reykjavík, Iceland. She studied contemporary dance at Iceland Academy of the Arts and choreography at ArtEZ institute of the Arts [NL], graduating in 2008. She received a DanceWEB scholarship in 2007 at Impulstanz Vienna. As a performer Katrín has worked with Saga Sigurðardóttir, Erna Ómarsdóttir and Kris Verdonck among others. Through her own work and collaborations, Katrín has developed an interest in recycling and integrating various unconscious and conscious influences that happen through training and creative processes. She created two duets with dance artist Melkorka (Coming Up, 2013, PLANE, 2015) and won The Icelandic Performing Arts Award as choreographer of the year in 2013. The duo were chosen as a priority company 2014 by the Aerowaves dance network. 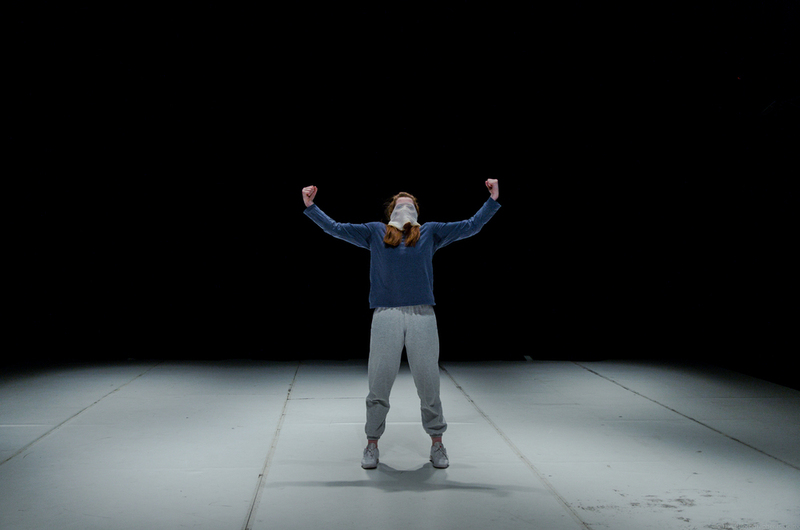 In a series of soloworks, Katrín is searching for a resonance between two bodies on stage, the body of the performer and the body of the choreography itself, whether it is inspired by her own relationship with borrowed dance material (Saving History, 2014) or asking a female performer to take on a masculine movement vocabulary – such as in her collaboration with dance artist Saga Sigurðardóttir (Macho Man, 2015). Katrín is currently doing research for her new solo project Shades of History. In spring 2016 she will premiere KVIKA, a new group performance at The National Theatre of Iceland.